Zambia Institute for Independent Media president Jajah Coulibaly says he is dismayed at the PF government’s decision not to publicise the contents of the Access to Information Bill. In an interview, Coulibaly said the Access to Information Bill was a public document, hence the need for government to publicise it before presenting it to Parliament. 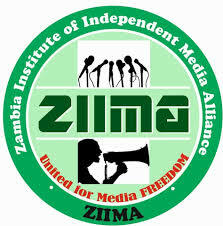 “As Zambia Institute for Independent Media we are dismayed by the government’s decision to rush the Access to Information Bill without publicising its contents. The Access to Information Bill is not a private document but a public document, which should be in public domain. This document is not a document for the minister of justice but for members of the public,” said Coulibaly. And Coulibaly has said that the Zambia Institute for Independent Media will not celebrate the presentation of the Access to Information Bill without knowing its contents. “We are not going to celebrate the presentation of the Access to Information Bill to Parliament without knowing the contents. The document might be defeating to the media practitioners. It might have some lacunas that might work against the media and, probably, make it extremely difficult for media practitioners to gather information meant for news. And that is why we have been repeatedly saying that we are not going to celebrate the presentation of this Bill to Parliament,” he said.